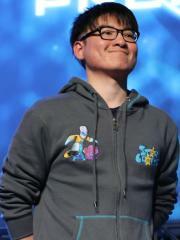 Son "StarDust" Seok Hee is a Korean StarCraft II player. At this time, StarDust is ranked #860 in highest overall earnings, and #149 in highest earnings for players from Korea, Republic of. Out of the 50 tournaments awarding cash prizes that StarDust had competed in, the largest amount was $25,000.00 from WCS Europe 2014 Season 2 Premier on July 6, 2014. He placed 1st, making up 22.41% of his total prize money won. On November 8, 2014, StarDust arrived at the $100,000 milestone, winning $5,000.00 and placing 9th-16th at WCS 2014 Global Finals. Prize money from 43 tournaments got him to that point. mYinsanity signs Son "StarDust" Seok He!